Where do mindfulness practitioners and First Nations People share common ground? And how do we, in a dominant colonial culture, bring our practice on the cushion into action in the world? Mountain Rain Zen Community invites you to join Rueben George, Sundance Chief and Representative of the Tsleil-Waututh Nation Sacred Trust, for an evening of prayers, meditation, conversation, storytelling, and solidarity. The Tsleil-Waututh Nation (the people of Burrard Inlet) is currently leading the resistance against the proposed Kinder Morgan Pipeline and tanker project. The Pipeline if approved, would bring 800,000 barrels of unrefined oil per day from the tar sands of Alberta to ocean-bound tanker ships in Burrard Inlet, posing grave risks to local ecosystems and perpetuating fossil-fuel dependence. The Tsleil-Waututh consider the protection of Burrard Inlet to be a sacred trust. PM Justin Trudeau's Liberal government is due to approve or reject the Pipeline this December. How does our Buddhist practice support our response? What does it mean to stand in solidarity? 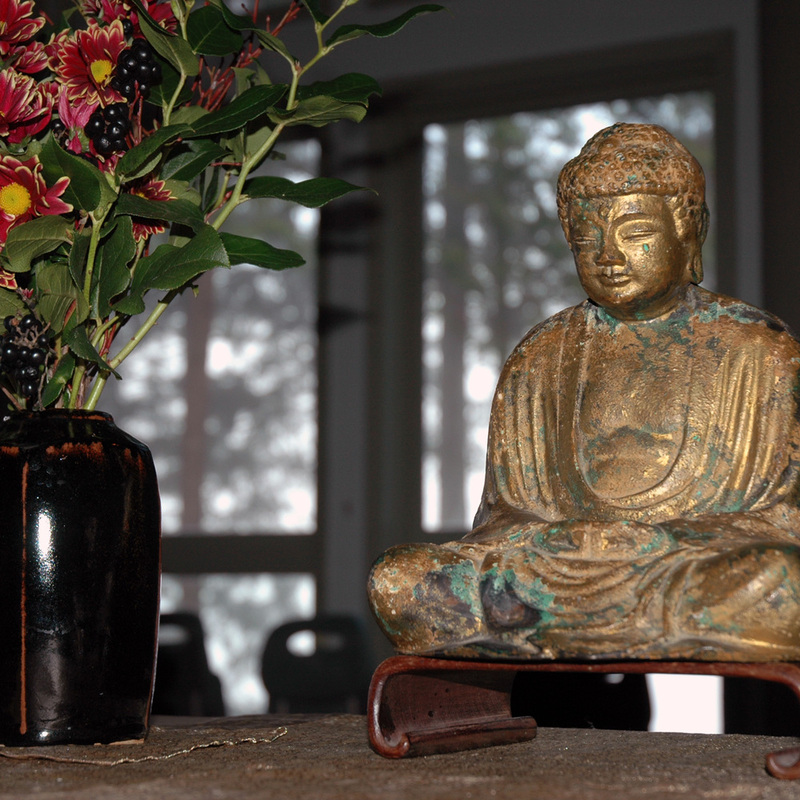 We invite all sangha, friends and neighbors to join us for community, socializing, snacks, and tea. By voluntary donation to Mountain Rain Zen Community and/or the Tsleil Waututh Nation - Sacred Trust Initiative.